Lincoln, directed by Steven Spielberg, portrays Abraham Lincoln's campaign, in the last few months of his life, to pass the thirteenth amendment to the US constitution. The amendment, which outlawed slavery, was passed shortly after the end of the American Civil War, in 1865. Lincoln is played, definitively, by Daniel Day-Lewis. Spielberg worked again with his regular collaborators, composer John Williams (whose score is, thankfully, used relatively sparingly), editor Michael Kahn, cinematographer Janusz Kaminski, and producer Kathleen Kennedy. This is Spielberg's second film dealing with slavery, the first being Amistad, in which former president John Quincy Adams defended rebellious slaves in court. Lincoln is also essentially a courtroom drama, with the court replaced by the House of Representatives. As in Amistad, the emphasis is on legal arguments by politicians rather than the lives of the slaves themselves. The script was written by playwright Tony Kushner, and the film feels more stage-bound than Spielberg's previous work. Characters speak in long, declamatory monologues, using arcane polysyllabic vocabulary. The cinematography - backlit hot windows, underlit interiors, smoky exteriors - and even the creaking floorboards also suggest a theatrical atmosphere. Lincoln was not the only slave-related film released last year: Quentin Tarantino's Django Unchained is the antithesis of Lincoln. 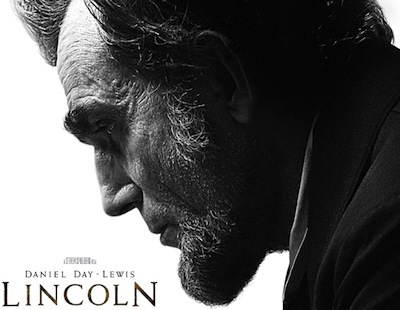 Lincoln is a self-consciously worthy period drama, the type of 'prestige film' released by studios eager for Oscars. Django, on the other hand, is a revisionist exploitation film, with gleeful provocation in place of earnest historical realism.